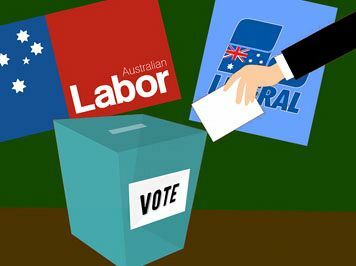 With the Federal Election only months away, Dr Steven Hail examines key areas in which politicians need to focus in order to succeed. THE FEDERAL ELECTION is around the corner and, once again, our representatives in Canberra are misleading us and perhaps themselves. Their job should be to enhance social wellbeing, while ensuring that the Australia we pass on to future generations is at least as healthy and habitable as the one which sustains us today. To listen to the politicians, on both sides, you would think the two most important issues were to drive the fiscal budget into surplus and to keep it there for as long as possible, as well as growing the economy as fast as possible forever. As for the first of these goals, I have explained many times that this is based on a misunderstanding of how the monetary system works and the misleading belief that the government is a currency user – like a household – rather than a currency issuer, as the institution which owns the Reserve Bank of Australia. Incidentally, it happens to be inconsistent with their second goal, because a fiscal surplus drains money from the private sector, drives the private sector into debt and eventually leads to a recession — potentially a severe financial crisis. Responsible federal governments run deficits nearly all the time, so the rest of us can run surpluses. As for that second goal, we urgently need to shift our focus away from the size of the economy, as measured by real GDP, towards things that actually matter. Because in rich countries like ours, real GDP doesn’t matter much. Social scientists like Kate Pickett and Richard Wilkinson have shown that the most successful societies are those with the lowest level of inequality and not those with the highest real GDP per person. In poor countries, there is not enough output to meet everyone’s basic needs and to provide everyone with the opportunity to live in economic security, so economic growth is a worthwhile objective. This is not the case, however, when you get past roughly the GDP-per-person of Spain. In already high-income countries, further increases in real GDP do nothing very useful at all. This is well supported by evidence on subjective well-being. The Gallup World Poll includes a question where a sample of people in each country are asked to rate their life satisfaction on a scale between zero and ten. Comparing the results with data on real GDP per head is highly instructive. You can fit a curve to the whole data set, which makes it appear as though reported life satisfaction continues to rise, across the whole sample, as real GDP increases. However, this is misleading, as can be seen if we restrict our sample to high-income countries. There is no long-run pay-off, in terms of happiness, from raising your income above the level around Spain. Differences in income mean very little between rich countries, even though they mean a great deal within those countries. Not only are people further up the social scale happier than those with lower incomes, but they also enjoy longer lives. Inequality matters. Our politicians target economic growth when they should give it less emphasis. They don’t target inequality, when it matters much more. Climate change is an even more urgent issue. Environmental scientists, economists, activists and politicians have engaged with this problem for almost 30 years. To what effect? Given the series of conferences and reports and the excitement over what was agreed in Paris, you might be forgiven for believing that we are well on the way to shifting our energy system towards renewables, changing behaviour in other ways, decoupling carbon emissions from the continued growth of the world economy and reducing our remaining emissions down to a level consistent with stabilising average temperatures. We are not. The stock of carbon dioxide and other greenhouse gases in the atmosphere is the highest it has been for many hundreds of thousands of years and is still rising. The above chart is for the total stock of carbon dioxide in the atmosphere and not the annual flow of emissions. Even if we can reduce the flow of emissions worldwide in the next few years, they need to fall by about 80 per cent before we can be confident that the chart will flatten and turn down. Scientists used to say that we needed to keep CO² concentration between 350 and 400 parts per million to limit climate change to safe levels. Now, we are told 450ppm may be low enough to avoid potentially devastating climate change. The goalposts have been moved. Politicians still talk about limiting global warming to 1.5°C above pre-industrial levels. Scientists and ecological economists, when they are honest, say that horse has already bolted and we might just keep it to 2°C if we made global warming our top priority all over the world, right now, early in 2019. By the 2030s, if we are as unsuccessful between now and then as we have been, the future will be bleak. Australia’s emissions were at a record level across 2018. We may only contribute a tiny proportion of global emissions because there are so few of us. It is true the future of the planet will be largely decided by the USA, the EU and China. But our per capita emissions outstrip any of those countries. We have a moral obligation, as almost the worst emitter in the world on a per capita basis, to lead the world on climate change and in green energy. This will require a large-scale investment in shifting our electricity generation off fossil fuels quickly, on electrifying our transportation system, on changing agricultural practices, on climate change research and on energy efficiency. They should be expert-led and part of a Green New Deal, such as the one being discussed by the more progressive wing of the Democratic Party in the USA. They will create jobs and they will grow the economy — at least during the period of the investments. Real GDP may still grow in the future. This may be possible because improvements in product quality drive some of the growth in GDP over time, rather than it being entirely about activity on a bigger scale. But the scale of economic activity cannot keep growing forever. There is no reason to regret this and every reason to reduce the hours we work and the age as we adjust to this fact. That is what we should be aiming for. Greater wellbeing on a variety of metrics, regardless of what happens to real GDP, in a healthy and sustainable environment and climate system, with much lower levels of income and wealth inequality and no involuntary unemployment. I have written elsewhere about the importance of a job guarantee for individual wellbeing, social cohesion and macroeconomic stability. A job guarantee, an adequate state pension, appropriate support for those who cannot participate in a job guarantee and a commitment to ecological sustainability are what we should be looking for from our politicians. They should be what the next Federal election is all about. You can follow Dr Steven Hail on Twitter @StevenHailAus, as well as on Facebook at Green Modern Monetary Theory and Practice. His new book, 'Economics for Sustainable Prosperity', is due to be released by Palgrave Macmillan in July.